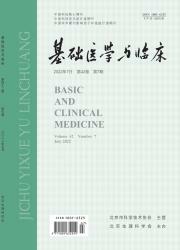 摘要 微课在高等医学教育中的应用还处于探索阶段。本文在生理学教学中将微课教学与传统教学结合应用，随后对学生进行了问卷调查。对微课的发展过程、学生对微课的认识和态度、微课视频的制作和应用条件、微课与传统课程和慕课的比较等方面进行总结，并对微课在高等医学院校的建设和应用提出建议。 The application of micro-lectures in higher medical education is still in a stage of exploration. The au- thors applied the micro-lectures with the traditional teaching method in the teaching of physiology, and conducted a questionnaire survey about it. In this article, the authors summarized the developing process, the students＇ attitude and the video production of micro-lectures, and compared the micro-lecture with traditional teaching method and MOOCS. At last, they gave some suggestions about application of micro-lectures in higher medical college.